If you'd like to see Steemit's rewards be more democratic, please consider following us as well as browsing the rankings and upvoting posts you agree are undervalued. Also, we are very grateful to @dolov, @alol, @jlufer, @jonathanxvi, @iloveupvotes and any others we missed for the recent resteems. @ozchartart $STEEM/BTC Daily Poloniex+Bittrex Technical Analysis / Market Report Update #192, Feb. 13, 2017. @hilarski 8 Things People With BitPhobia Say? @krnel Great Ideas? Average Events? Small People? @ozchartart $BTS/BTC Daily Poloniex Technical Analysis / Market Report Update #81, Feb. 13, 2017. @mallorcaman Its happening right now!! @stephenkendal SILVER = $17.94oz. 4Hr Charts. STRONG BULLISH. @bitshares-munich BlockPay v1.5.5 is released! @ash BitShares DEX added to BestBitcoinExchange - need your vote! @the-future The first black hole with intermediate-mass! @dragosroua Less Than A Week Until d10e Bucharest - Who Am I Meeting There? @barrydutton Valentine's Day to the Crypto Crowd! Meme of the Day just made! @allstarrunner What does Kingdom Love look like? @stephenkendal BLOCKCHAIN: The fabric of Humanity is set to be turned upside down when people finally see the Real World through the mirror of the Blockchain..!! @felixxx Foraging #5 Is it worth it ? @dwinblood Is Netflix becoming another propaganda outlet? @ash BTS (방탄소년단) - I NEED U - Piano Ballad Ver. @the-future The first white pulsar was discovered in the Universe after half a century of research! This post has been ranked within the top 50 most undervalued posts in the first half of Feb 15. We estimate that this post is undervalued by $2.88 as compared to a scenario in which every voter had an equal say. 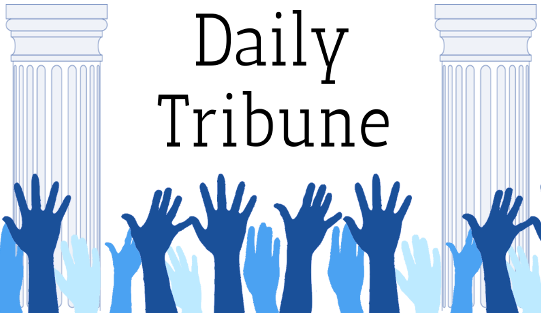 See the full rankings and details in The Daily Tribune: Feb 15 - Part I. You can also read about some of our methodology, data analysis and technical details in our initial post.